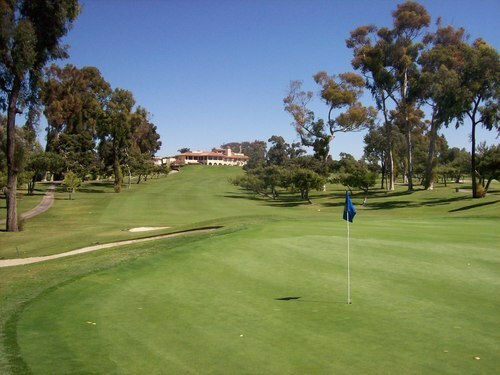 I had taken the day off to attend this SCGA member outing at this historic private course. Around the big clubhouse (which is a relatively new construction), there are signs that say “established 1897.” That would be referring to the club itself. 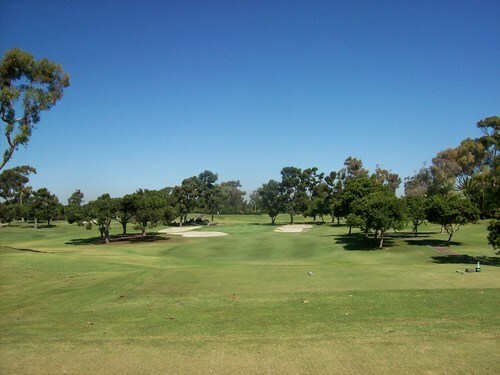 The original course was built in 1921 by Willie Watson. Harry Rainville, William P. Bell. Todd Eckenrode and John Harbottle III are all also credited with various renovations in the years since. 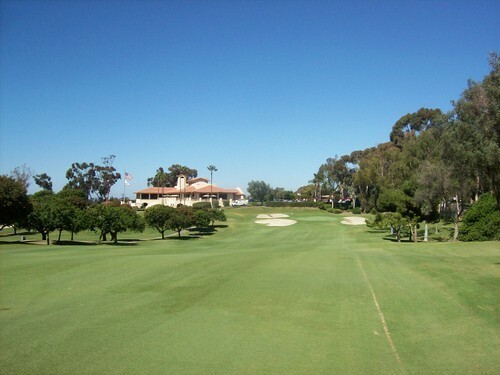 Still, SDCC is one of the oldest courses I’ve had the pleasure to play and it retains an old school charm and timeless design that you won’t find at a lot of newer courses throughout Southern California. I signed up for this outing several months ago because I knew it would fill up quick. It did. There were 36 full foursomes (two groups per hole in a shotgun start) in attendance and a pretty long wait list by the time registration closed a couple weeks ago. Needless to say, I’ve been looking forward to it for awhile. The course layout isn’t anything too dramatic. 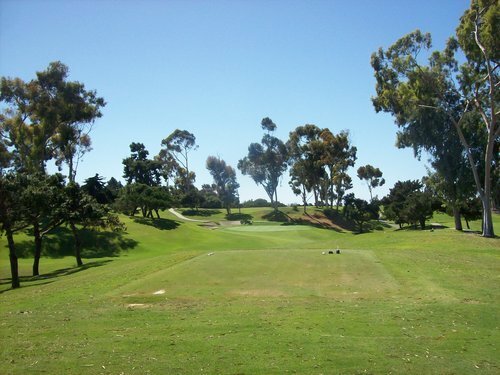 There isn’t much in terms of scenery like you’ll find at Torrey Pines or many other San Diego County courses. 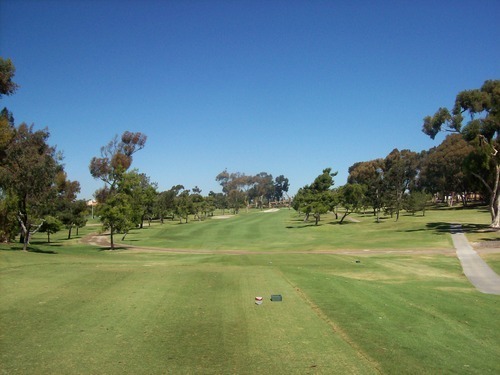 There aren’t big, fancy homes around the course and the property itself is kind of isolated in the middle of a Chula Vista neighborhood. 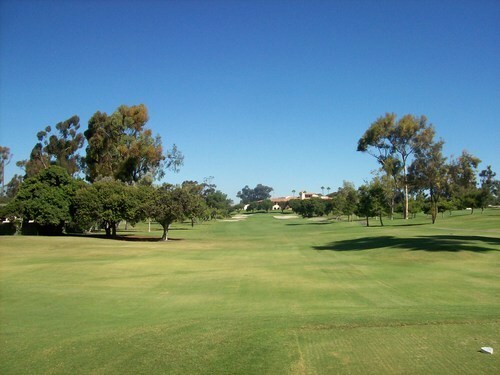 The course follows the naturally hilly terrain. 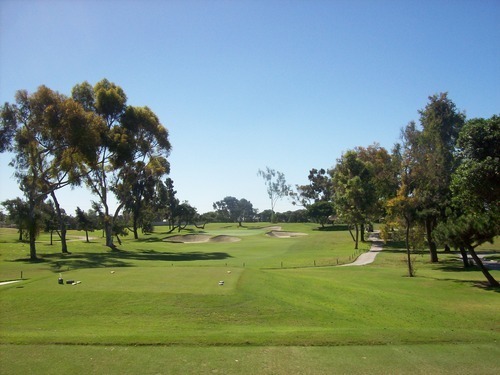 There aren’t any big elevation shifts and the layout is pretty tightly compacted within a fairly small property like many other old courses around here, but it’s a nice mix of holes and more than enough to keep you entertained. 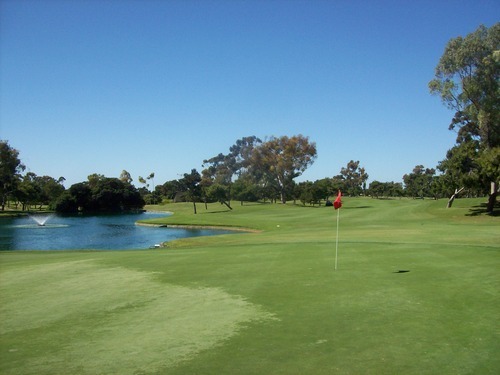 There is very little water on the course (actually only the par-5 8th hole has a significant water hazard in play guarding the green) and it’s nicely lined with old trees (eucalyptus and other traditional coastal trees). 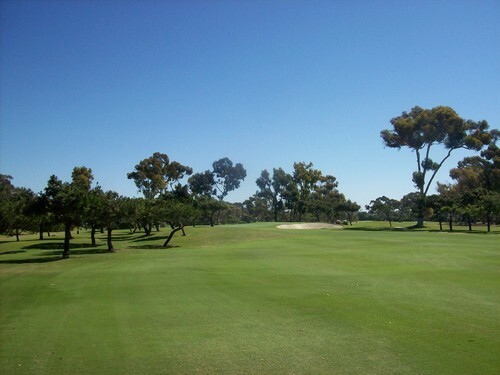 Perhaps San Diego Country Club’s biggest claim to fame is its legendary greens. They are definitely the stand-out feature here. 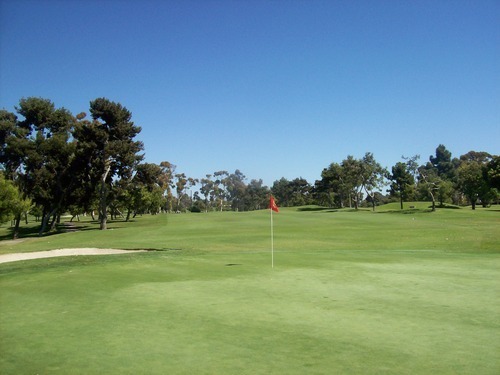 Rumor has it Phil Mickelson will come out to practice at SDCC in preparation for The Masters because these are the closest greens in Southern California to what is found at Augusta National. If that’s true, it’s a pretty strong endorsement. 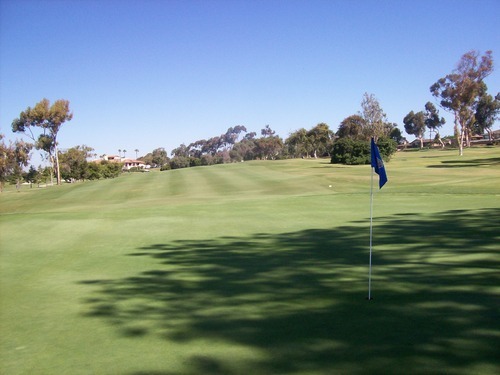 What I can say is that these greens at SDCC definitely give you an appreciation for the speeds and surfaces that the pros play. They are fast, slick and will fill you with equal feelings of frustration and adulation. I felt like I was rolling the ball pretty well and still walked away with 38 putts on the day. If you are outside of 20 feet or anywhere above the hole (or even pin-high), you are generally pretty happy to walk away with a two-putt. 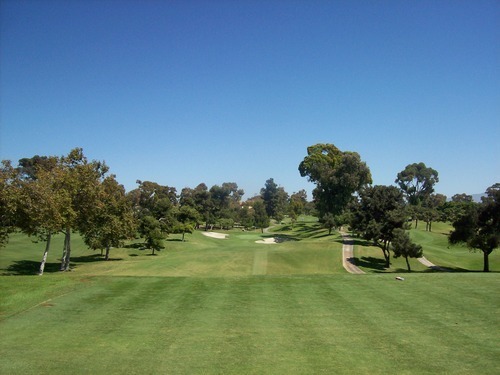 Putting here requires a perfect combination of pace and line. On most downhill and side-hill putts, if you miss the hole, your ball will likely roll at least five feet past. Uphill putts tend to be slower than you think and all shots on and around the greens are pretty uncomfortable because it’s hard to hit confident shots. As poor as my putting stats ended up and as evil as these greens seemed, I absolutely loved testing my skills on them. They are actually not the fastest greens I’ve ever played (they’re high up on the list), but they were pure, true and excellent by any standards. The surfaces were firm, but still very receptive. Just perfect. 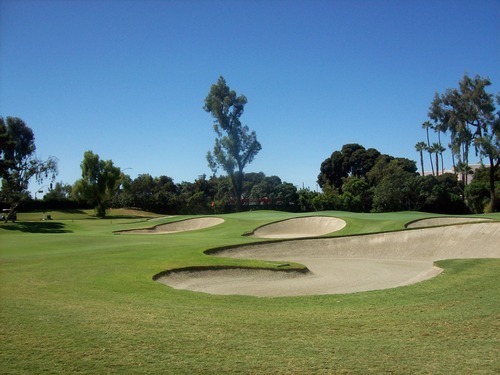 The other notable design feature at San Diego Country Club is the bunkering. 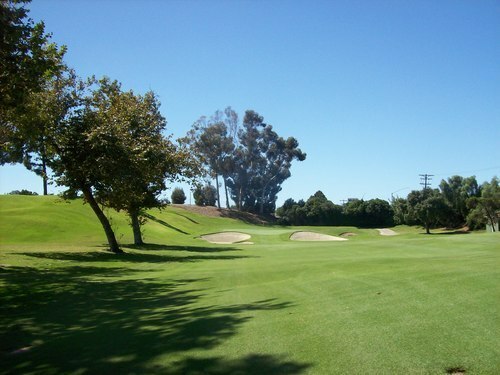 Most every green is guarded by one or two massive sand traps with very deep faces. 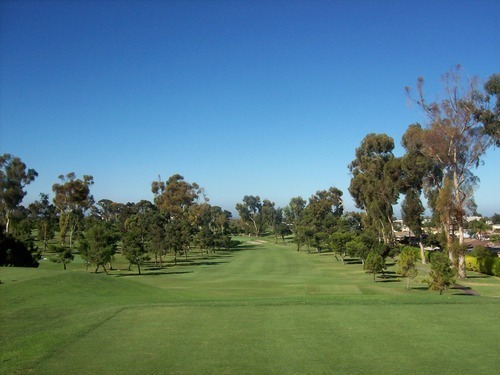 They are designed so that the ball will settle in the flat spot in the bottom, leaving you with an intimidating, mostly blind shot to the green well above where you are standing. If you want to post a good score here, the bunkers are worth avoiding as much as possible. Beyond the excellent greens, the course was in great shape overall. 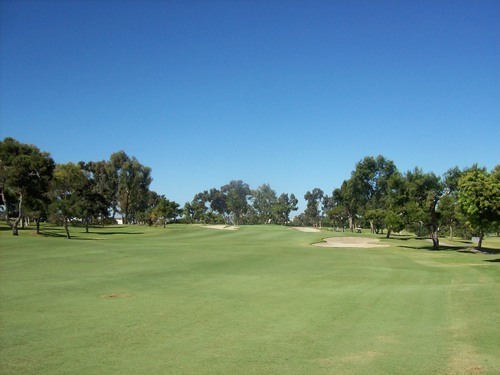 The fairways and rough were near-immaculate (maybe a tad dried out in places, but ideal playing surfaces throughout). The bunkers were nice, as well. 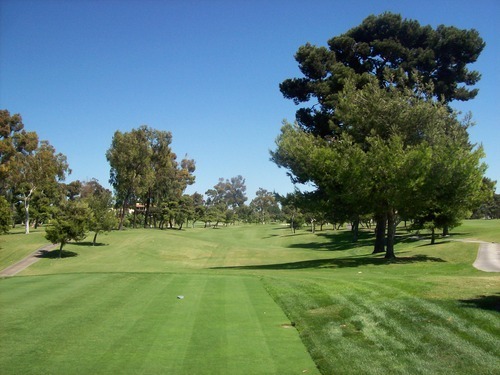 Many of the tee boxes had been aerated, but that was only a minor inconvenience and didn’t take way from the playability or aesthetic value of the course at all. 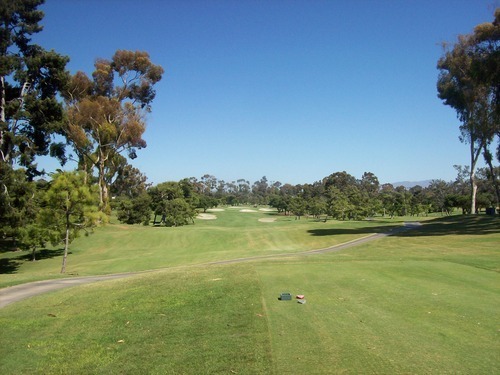 Kudos to the SCGA for organizing these outings that enable us “regular” folks to play some of these prestigious local private courses and feel like a member for a day. This is the second one I’ve attended this year, but it won’t be my last. Unfortunately, they are mostly on weekdays (primarily on Mondays when private clubs are generally closed to their members), so I have to hand-pick a few each year to play. I’m looking forward to seeing the 2014 calendar so I can go throughout it and make my wish list. It was fun to play a course with such rich history and its legendary greens. 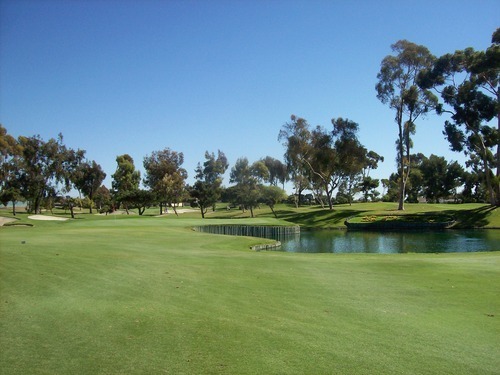 It was a really fun experience at San Diego Country Club!